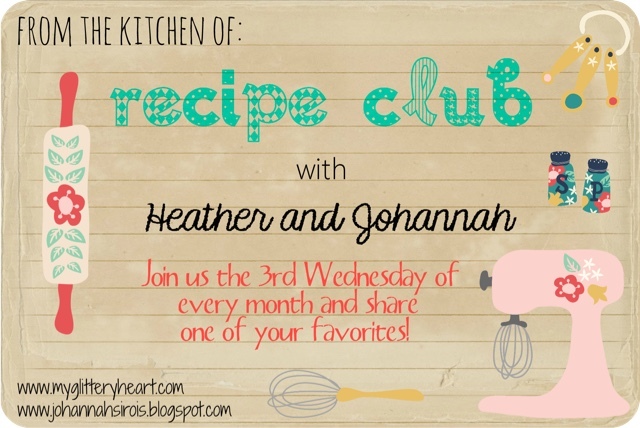 I just love hosting this monthly link up with my sweet blogger friend, Johannah!! I also LOVE our new graphic. Johannah is AWESOME!! So grab our new graphic and join us!! I can't wait to see what has been cooking in everyone's kitchen!! Today I am going to share one of our fall favorites. While my ground beef is browning I chop my onion. I purchased this Vidalia Onion Wizard and it has been life changing. It is so simple to use. 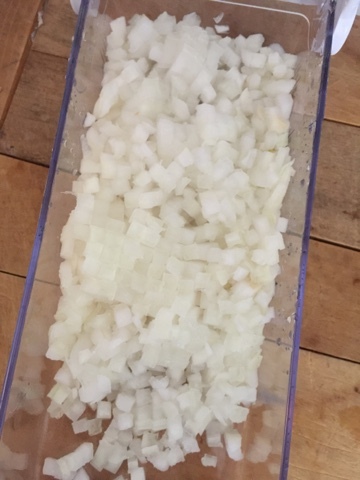 I just remove the skin from my onion, and cut in fourths place on the blades and push down. I also use it to cut tomatoes for salsa! 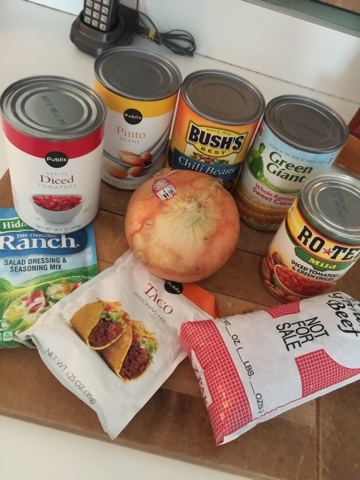 I open all my cans and packets and place in my crockpot. Once my ground beef was browned I added it as well! After 5 hours, my crock pot turns to warm!! When we were ready to eat I dished some up in my favorite bowls and added cheese and plain Greek yogurt. We love to scoop it with Tostitos! This is the perfect recipe to have in hand for the upcoming fall and winter months!! So yummy! We love it at our house. So easy. 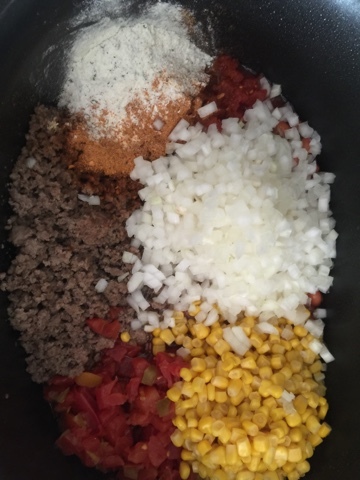 I love taco soup and this one looks soooo soooo good!!!! Thanks Johannah! It's a favorite at our house. 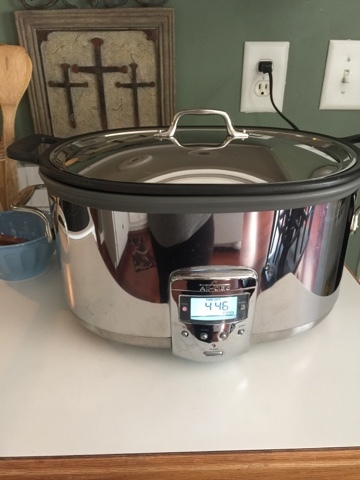 First off, your crockpot is stunning...and I don't think I have ever said that to anyone before! 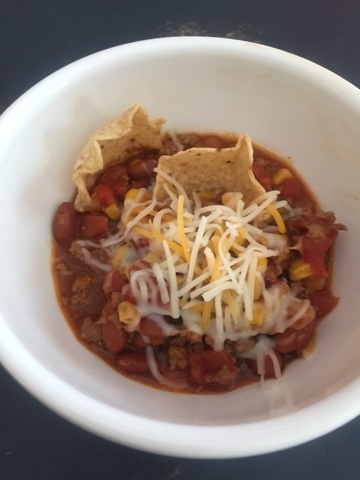 I love taco soup! It screams fall and comfort food. This post made me want to put on jeans and a sweatshirt and pretend it's October. Hurry, fall, hurry! I love summer but since school has started I am SO ready for Fall. I can't wait to try this one, especially after it cools off a little. 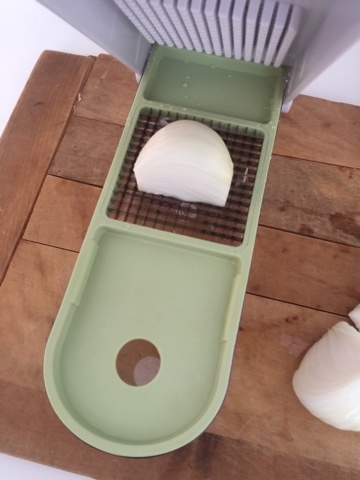 That onion chopper is genius! Thanks for the link-up! The onion chopper is amazing!! I need that onion chopper!!! genius! I love taco soup!! yum!